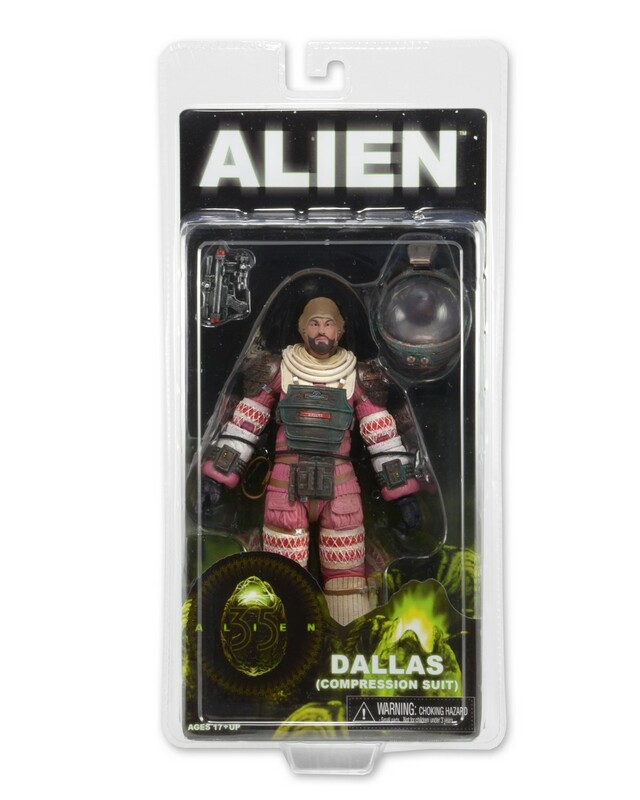 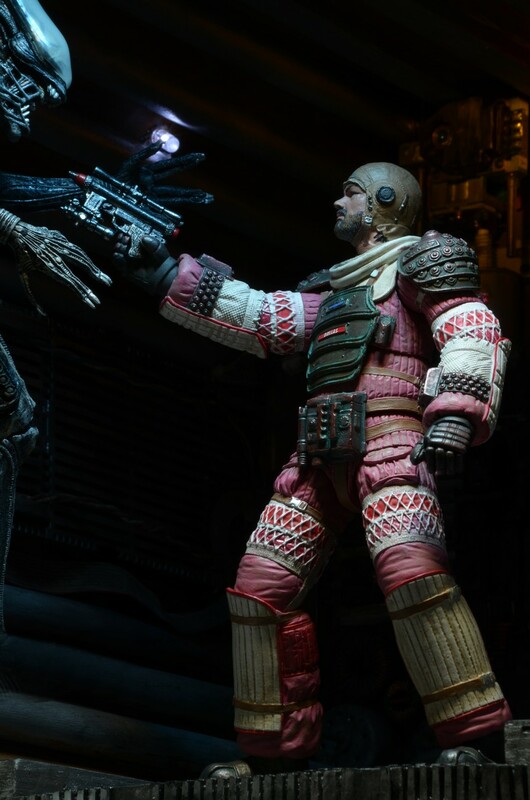 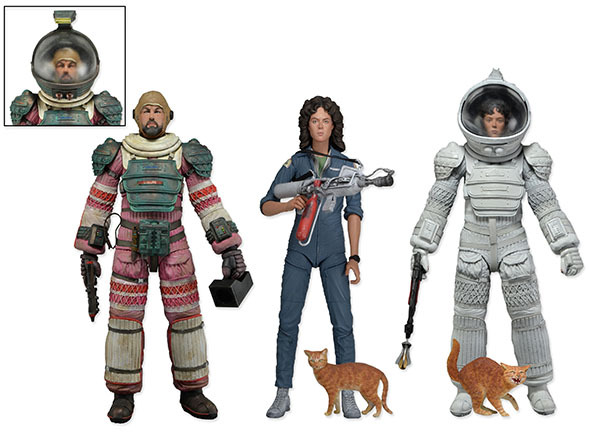 NECA Aliens Series 4 is the fourth wave of NECA figures based on the Aliens license released around May 2015. 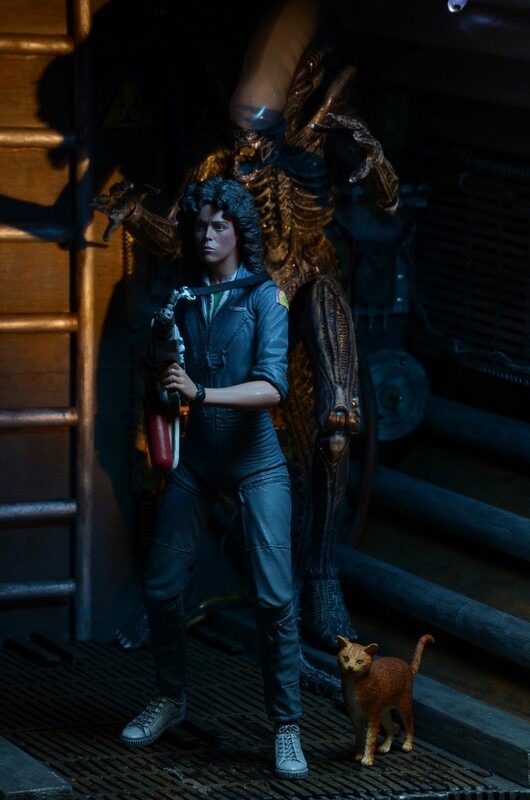 They included Ripley in her Nostromo jumpsuit with Jones the cat, Ripley in her compression suit and Dallas in his compression suit. 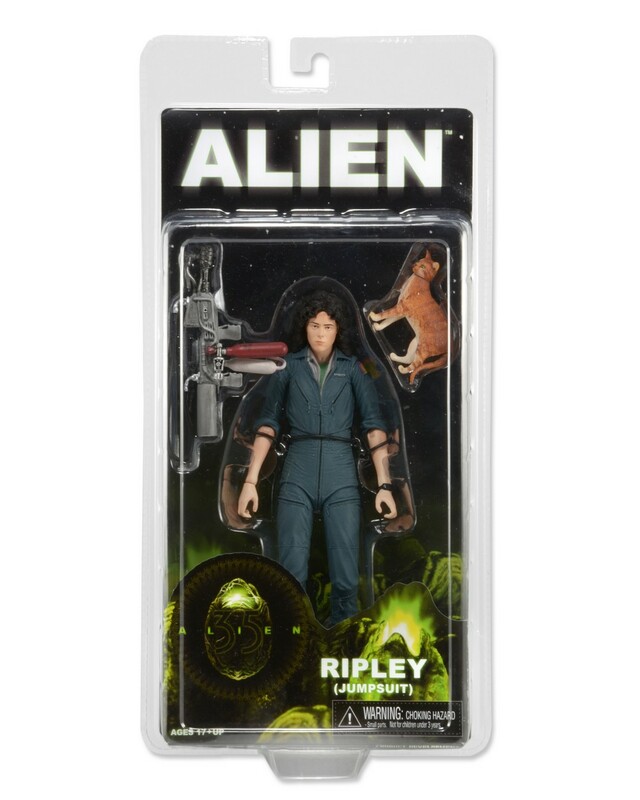 Series 4 in our best-selling Alien action figure collection celebrates 35 years of the original Alien film with all-new character debuts! 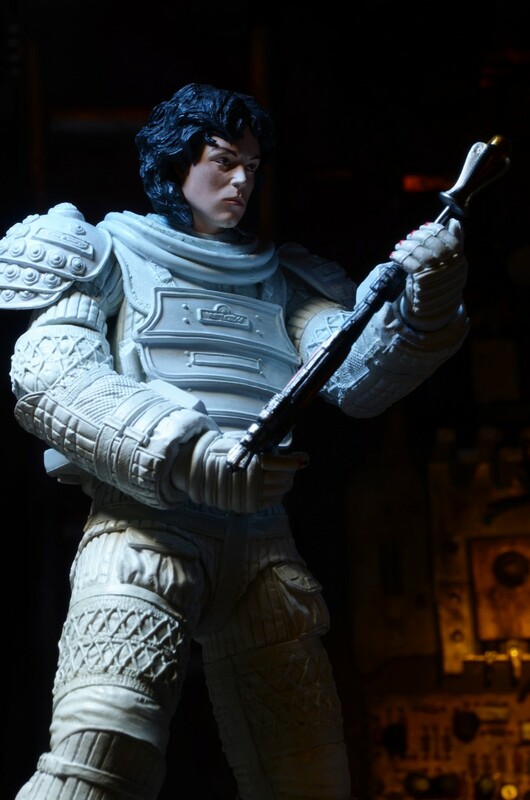 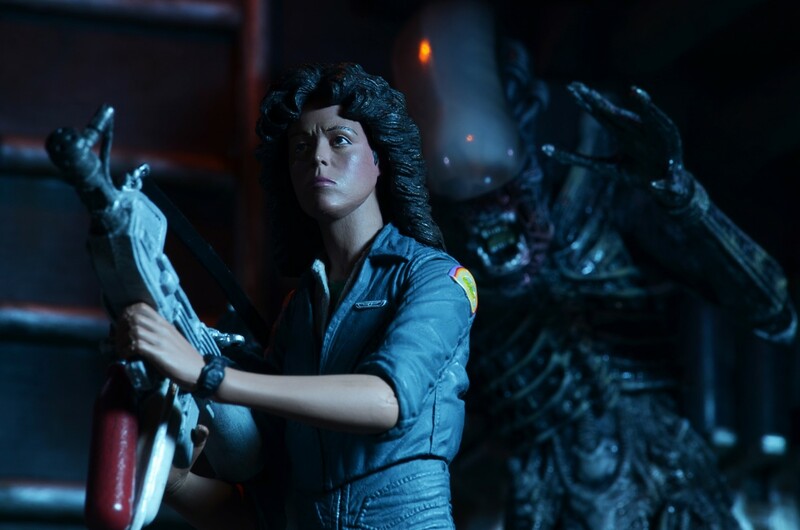 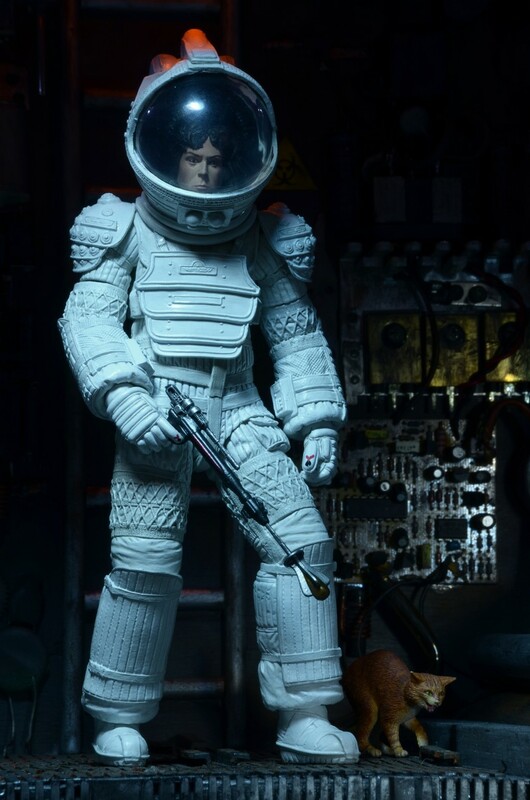 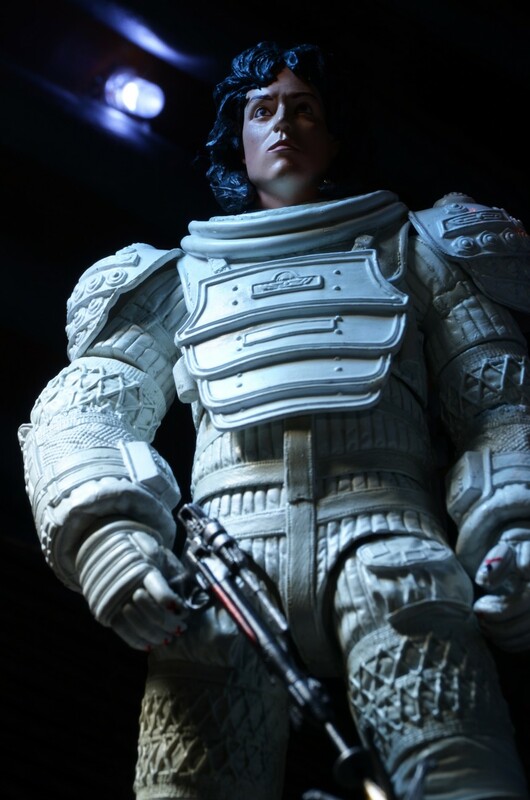 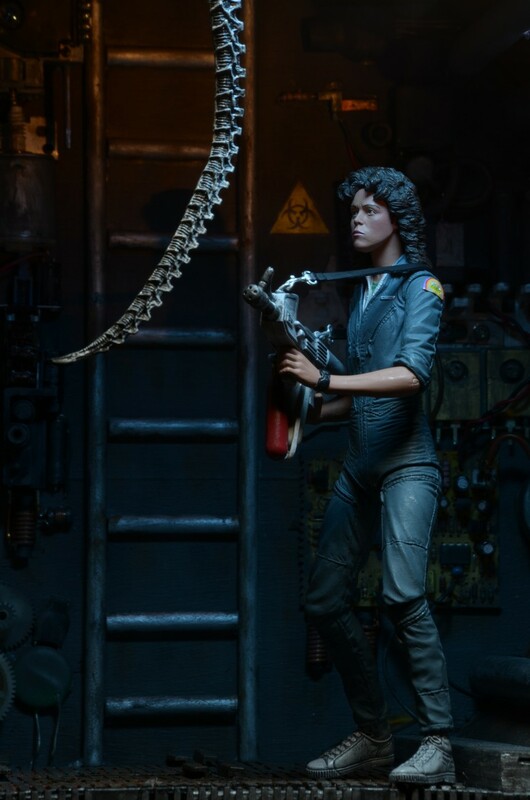 It includes two versions of Ellen Ripley — for the first time ever featuring the likeness of Sigourney Weaver — and Dallas in his Nostromo compression suit. 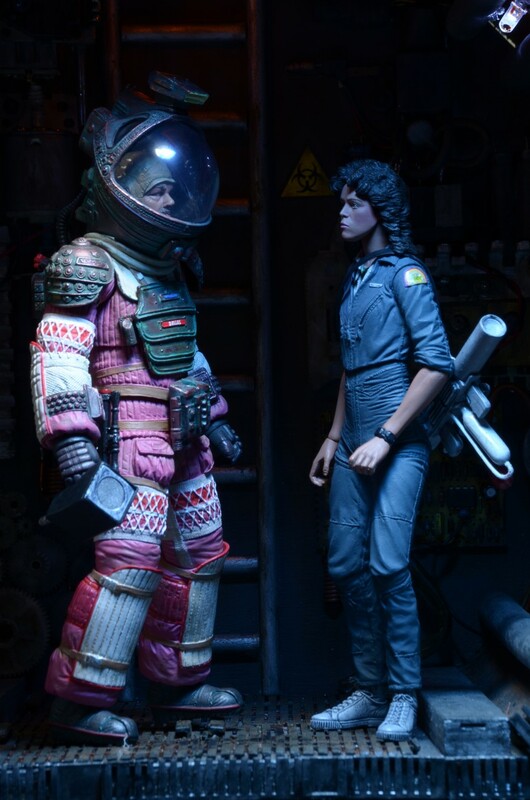 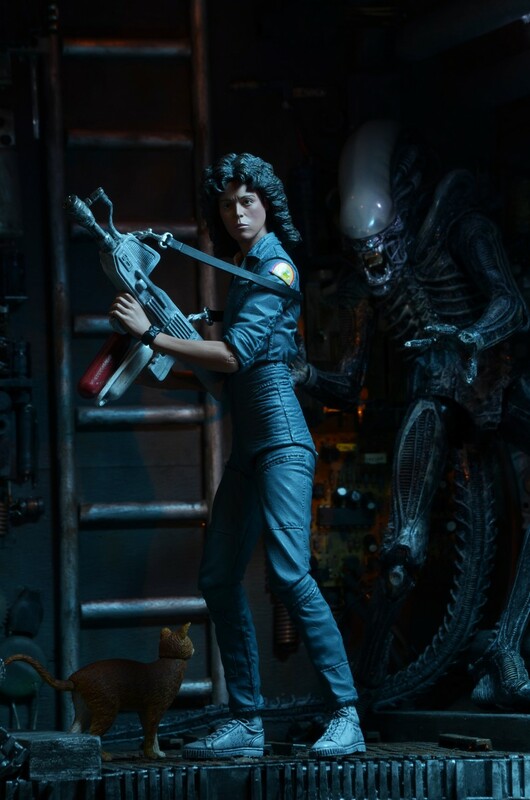 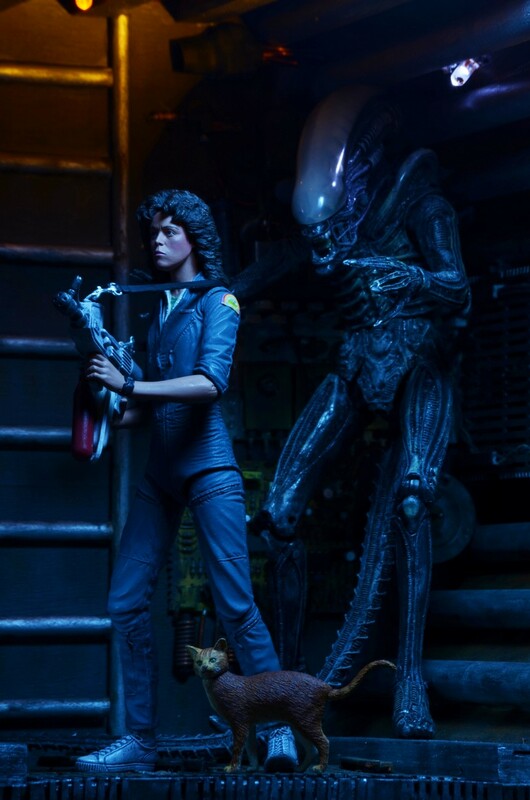 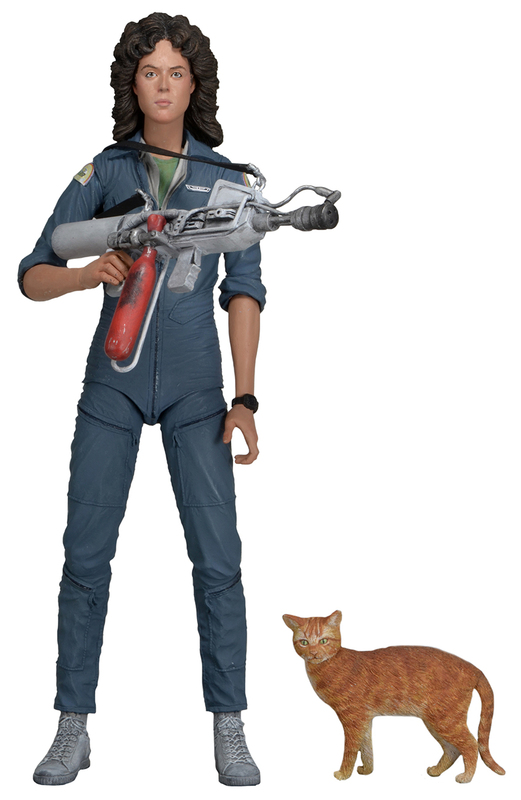 Ripley in Nostromo Jumpsuit comes with flamethrower and Jonesy the cat. 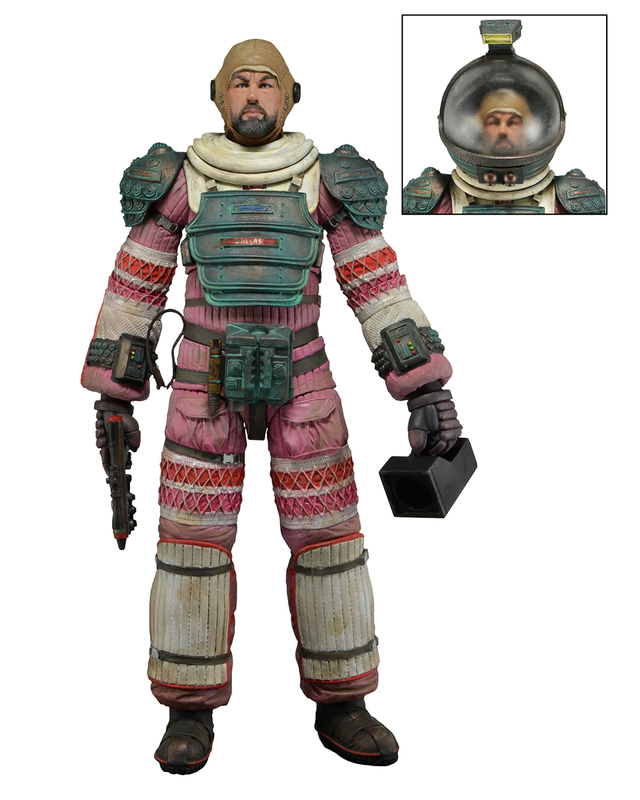 Dallas in Compression Suit comes with removable helmet, pistol and flashlight. 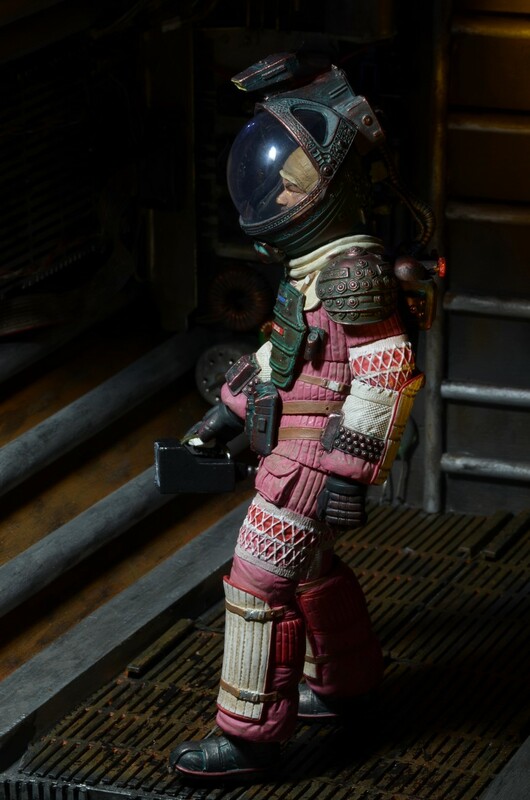 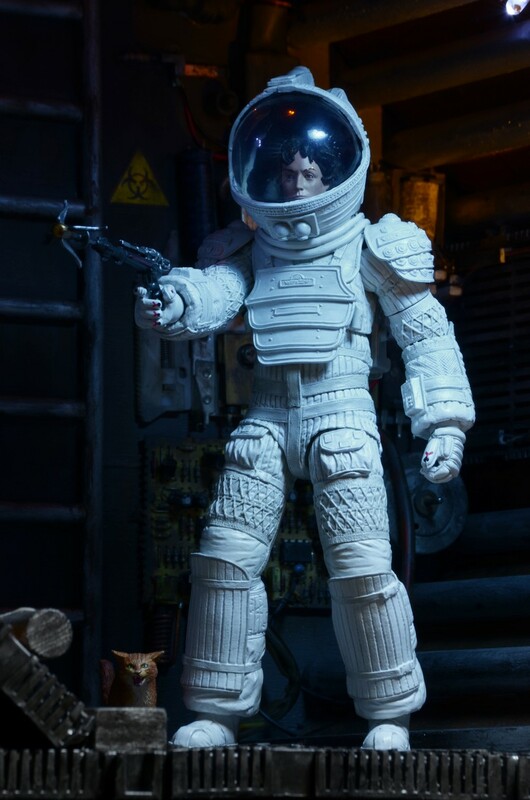 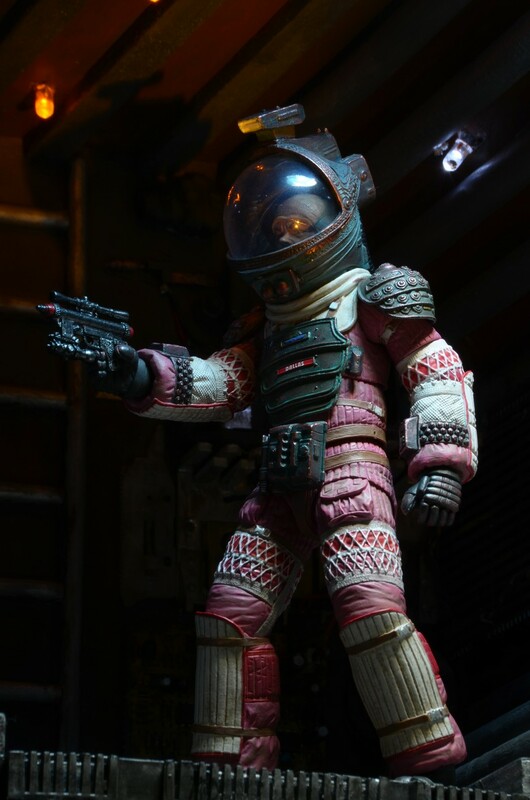 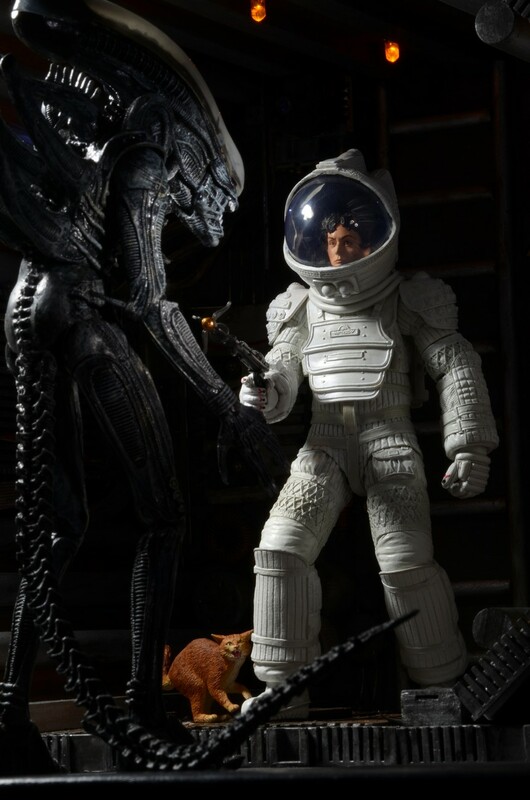 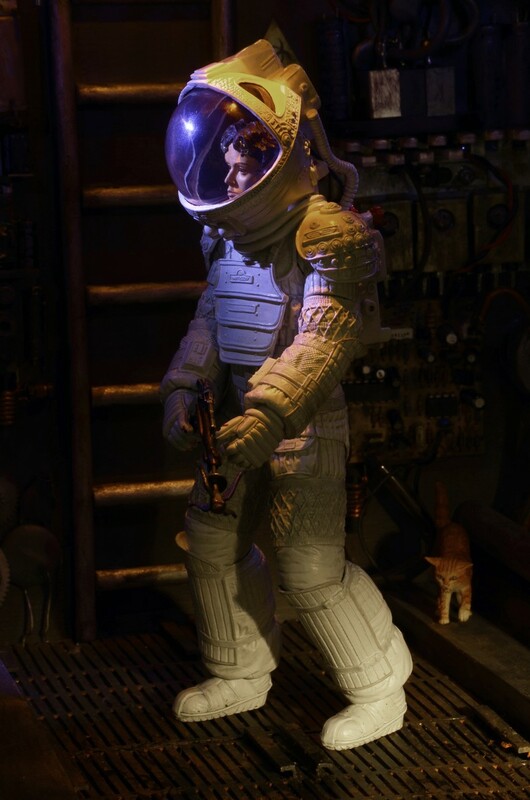 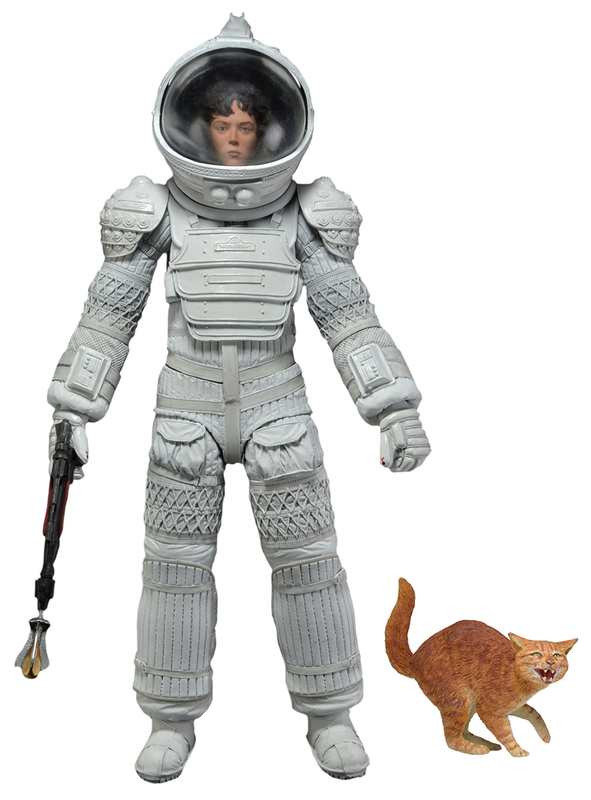 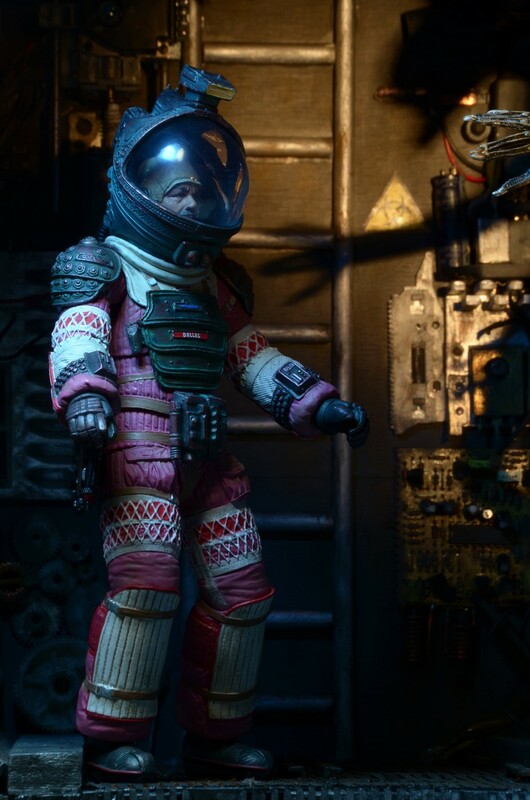 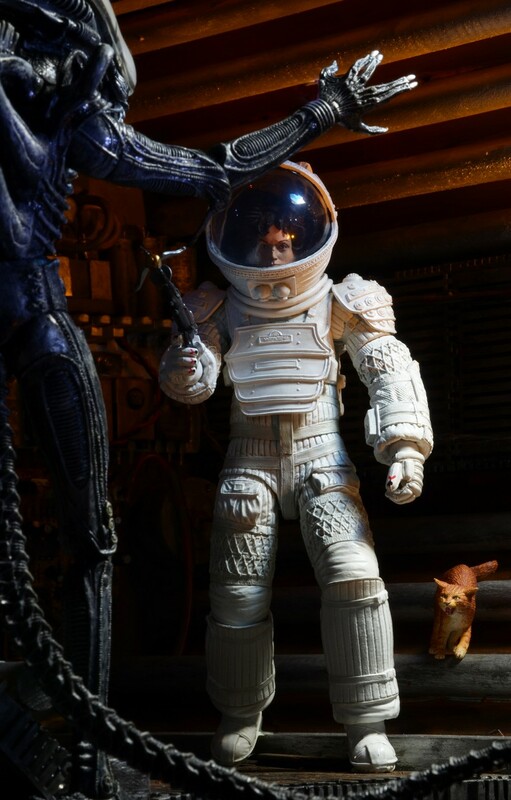 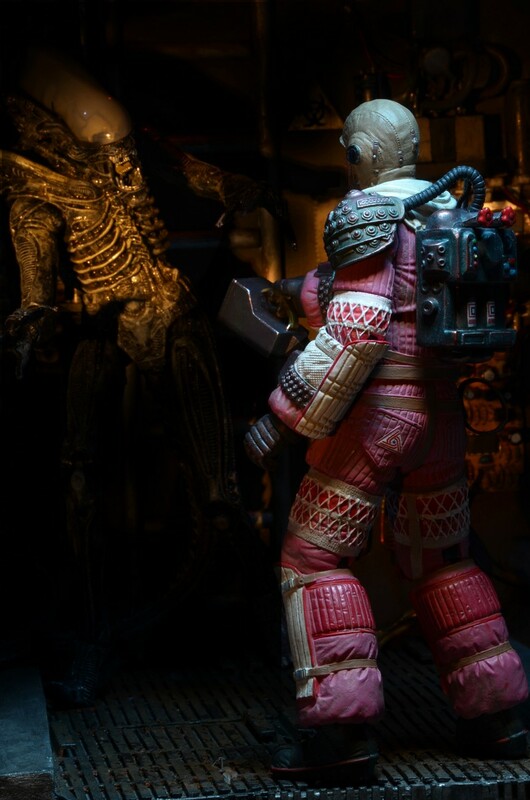 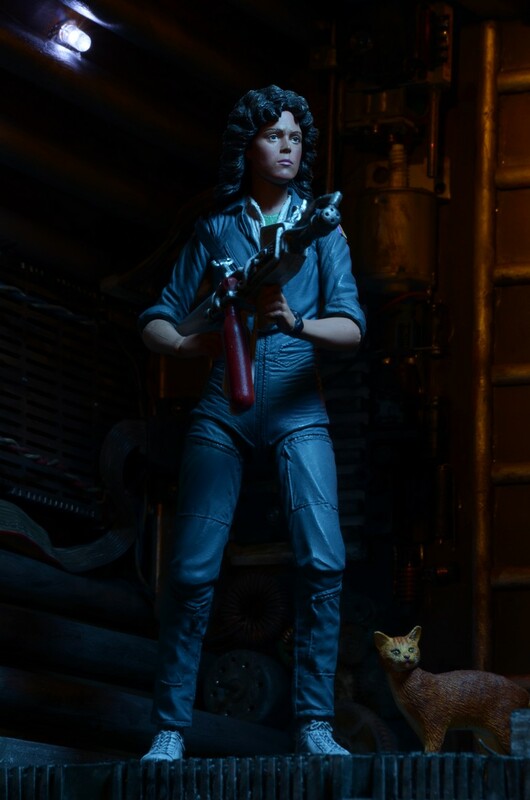 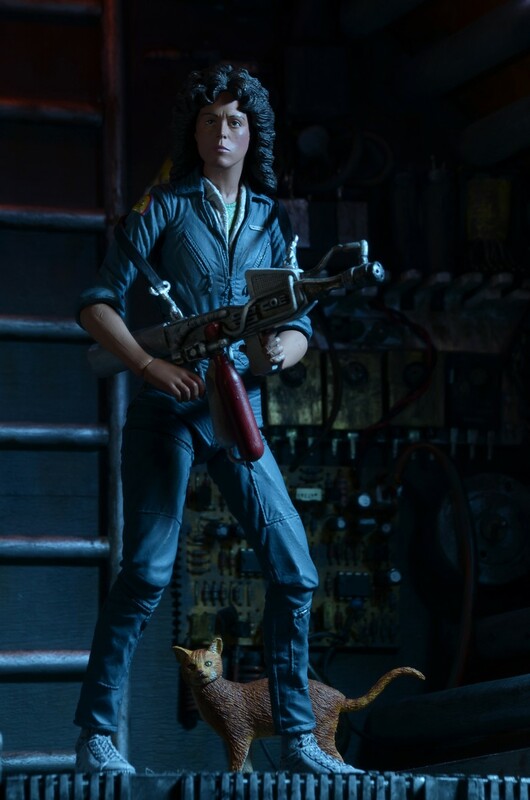 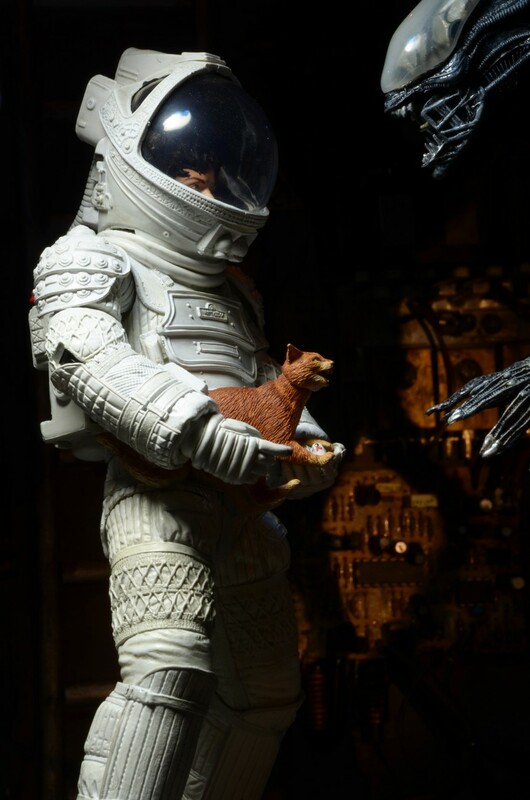 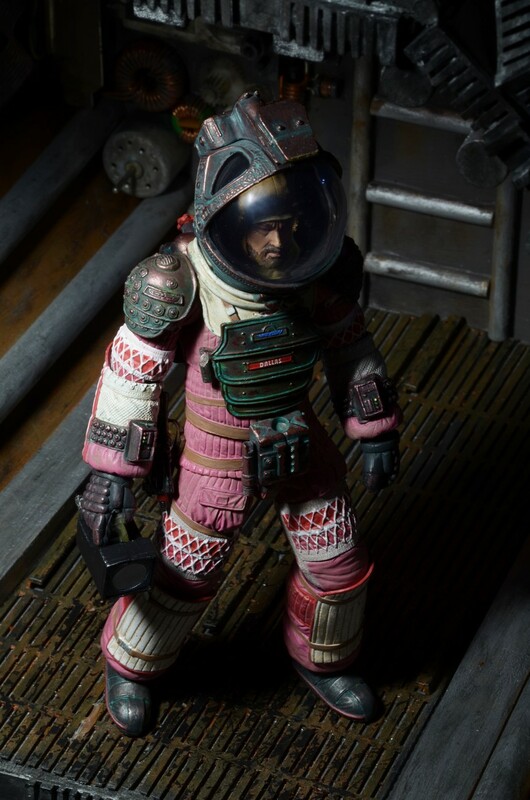 Ripley in Compression Suit comes with removable helmet, harpoon gun with two different attachments, and a frightened version of Jonesy the cat. 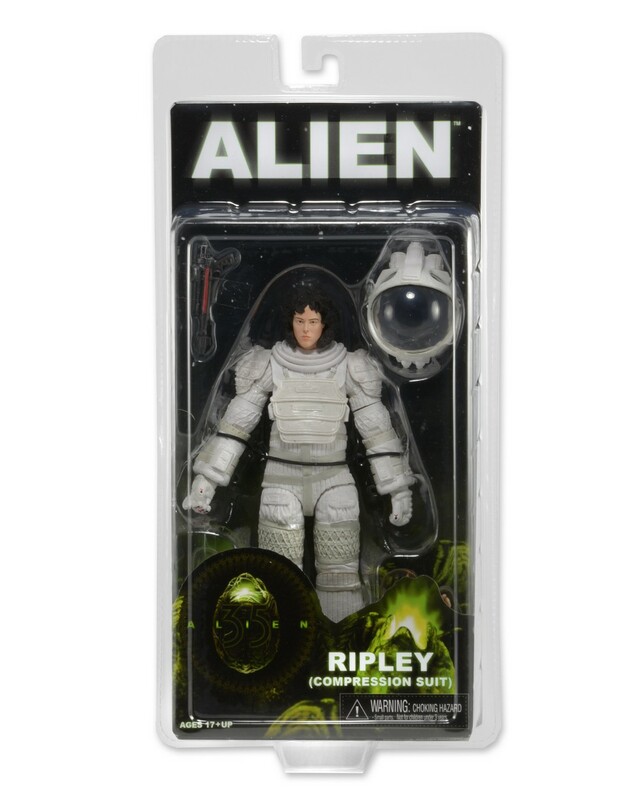 Each fully articulated figure stands approximately 7″ tall and comes in special 35th Anniversary packaging.